‘Tis the season for nonprofit financial audits. During audit season, it is common to see organizations face similar issues on their financial statements. What are they, and how can we help remedy them? With hundreds of nonprofits populating the Santa Barbara landscape, many experience similar hurdles during audit season. 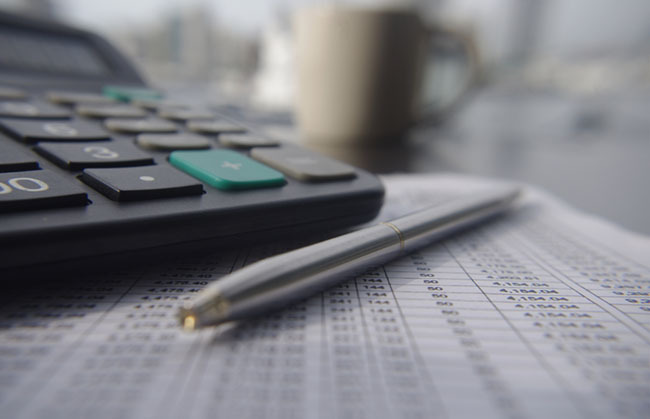 In an effort to streamline the audit process, be informed and build a strong legacy, below is a handful of common mistakes to avoid on nonprofit financial statements. By putting best practices into place, it will save you time and better prepare you for future audits. One of the most common challenges faced by organizations is the classification of grants, gifts and donations. Luckily, classification rules are changing with the implementation of FASB Accounting Standards Update No. 2016-14, Not-for-Profit Entities (Topic 958), Presentation of Financial Statements of Not-for-Profit Entities. This new standard is intended to make classification easier. It condenses the existing three net asset classes down to two classes. Currently, organizations are reporting gifts as temporarily restricted, permanently restricted or unrestricted. With this new standard, organizations will only have to chose from two categories: net assets with donor restrictions and new assets without donor restrictions. The downside to the new standard is reclassifying existing donor gifts, but after this one-time undertaking, future classifications should prove more streamlined and less confusing to those interpreting the financial statements. Recognizing certain types of revenue can be a complex process. Below are two common mix-ups seen most often. Nonprofits are responsible for determining whether a transaction qualifies as a contribution or exchange transaction. And sometimes the differentiation can be tricky. The Financial Accounting Standards Board (FASB) defines a contribution as “an unconditional transfer of cash or other assets or a settlement or cancellation of its liabilities in a voluntary nonreciprocal transfer by another entity acting other than as an owner.” Keywords: unconditional and nonreciprocal. For example, a contribution could be funds raised from a year-end appeal, or it could be a piece of artwork donated to an organization. FASB describes an exchange transaction as a reciprocal transfer, typically in the form of a grant or contract. For example, an exchange transaction could be funding for research or development activities at a university. Contributions are recognized upon receipt, and exchange transactions can be recorded either when the funds are received or over time based on expenses or other circumstances. It’s always best to consider the intent of the exchange between the resource provider and the recipient of the funding when reporting contributions and exchange transactions. Gifts in kind and contributed services are another area of revenue recognition that can spark uncertainty. According to GAAP, non-cash donations of tangible or intangible personal property and contributed services need to be recognized at fair value on financial statements. For example, contributions of advertising in various media forms are considered gifts in kind, including public service announcements. Advertising time and placements are considered a contributed asset versus a contributed service. Some organizations may find this reporting cumbersome, as it misrepresents certain expenses on the financial statements and draws unnecessary attention. However, to avoid confusion, it is recommended to insert a note on the functional expenses to clarify these inclusions. Be sure that the information contained in IRS Form 990 and the organization’s financial statements are mirrored. While the documents may have different uses, it is essential that the information be consistent and not contradictory. In an effort to focus on what matters most—your mission—the abovementioned insights could help you save time and best position your organization for the future. Contact me at lgray@bpw.com or (805) 963-7811 if you have any questions.